There are three events converging in the consumer electronics world that are going to make owning a state-of-the art home cinema more exciting and more affordable than ever before. First, significant improvements in 4K video and multi-channel surround sound technologies seem to be growing by leaps and bounds. Secondly, A/V equipment with these new technologies continue to get more affordable. Lastly, content providers (movies studios, broadcast networks, and media streaming companies like Netflix) are embracing the transition to 4K and adopting most, if not all, the latest advancements in Ultra High Definition 4K and have already begun to introduce content. These three areas will continue to see gains as consumers embrace 4k. But what do you need to know to begin enjoying 4K in your home cinema? Manufacturers at CEDIA introduced several new front projection models embracing native 4K video. There were also several manufactures with 1080p chipsets that were capable of creating a quasi 4K image (known as Faux K). However to be considered a native 4K projector, it should have a chipset that contains a minimum 3840 x 2160 pixels. Which is labeled Ultra HD (UHD). Technically “Full 4K” is 4096 x 2160. UHD at 3840 x 2160 is over 8 million pixels. A native 1080p chipset at 1920 x 1080 is 2 million pixels.. 4K is four times the resolution of native 1080p. This is good thing. However, having more pixels is great, but the new question being asked these days, is how good is the information on all those pixels? This answer to this question is what has led to possibly the biggest and most exciting features to be introduced into 4K sets. We are talking about HDR (High Dynamic Range) and WCG (Wide Color Gamut). The single most significant specification on a TV or projector is contrast ratio. This is the range between the whitest white and the blackest black. TV’s with the widest native contrast ratios have more perceived depth to the image. Measurements are taken with a white image on the screen. Then measurements are taken with a black image on the screen. The range becomes the ratio between black and white. The deeper the blacks and the whiter the whites helps create images that human eyes appreciate and can recognize quite easily. Even if a TV has color that is slightly off, the human eye is almost always certain to spot weak contrast over muted colors This is the reason plasma televisions were praised so much. Plasma’s were able to produce black levels far superior to competing technologies like LCD TV’s. In fact, even after the demise of Plasma, the Pioneer Kuro, a legendary Plasma television, remained the reference standard for black levels for many years after plasma had died. Nowadays the new king emerging in superior black level is most likely OLED by manfucturers like LG. Although Sony with their Z-series sets shown at CEDIA are a not-to-distant second. Sony has really pushed the limits of LCD technology and the results are amazing. For projectors, achieving and measuring good native contrast ratio is bit more complicated than for TV. The room, the screen, and even the wall paint can affect the native contrast ratio of a front projector. However, the darker you can make the room by eliminating any ambient light and the more neutral you can make the colors of the walls the more you can help the projector achieve the best possible native contrast ratio. The great news is projectors and screens have made great progress in achieving amazing black levels and improved contrast ratios especially with the new advancements in 4K. HDR involves electronically manipulating the light levels of various parts of the screen to increase the perceived contrast ratio. HDR is driven by metadata provide by the content (UHD 4K Bluray, 4K HDR Stream, etc). During creation of the movie on to 4K blu-ray, the director, cinematographer, and post production engineers will deem areas of an image they want to see more or less light in order to get the depth they are looking for in that particular shot. Metadata will be encoded onto Ultra HD 4K HDR Blu-ray’s that tells the TV or projector how on each scene should be lit. For example, take a scene of fireworks exploding in a dark night sky. HDR makes it possible to tell the TV to turn off the pixels where there black of the night sky is and amplify the light of the pixels where fireworks are present. It works a little different for projectors in home theaters, which is why it so important to keep your home theater room as dark as possible to get the most out of HDR. In addition to more pixels (4K) and high dynamic range (HDR), the next big improvement in video is WCG (Wide Color Gamut). For years we have been limited to a small spectrum of available colors that set the standard for TV color reproduction. It was known as Rec 709. 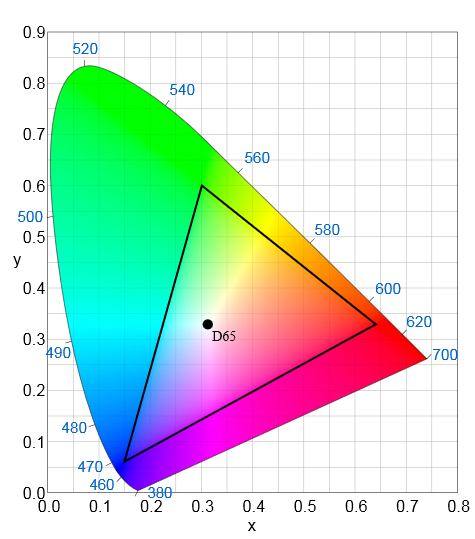 The color chart below shows the limited range of colors in Rec 709 (shown in the black triangle on the left) and the ITU-R BT 2020 standard (Rec 2020) which is the new expanded color gamut (right). Wide Color Gamut looks to get as close to the Rec 2020 as possible. so instead of millions of colors to choose, the video display will have billions of colors to choose from. The entirety of the chart represents a majority of the color spectrum the human eye can see. 7.2 channel surround sound has been the default surround sound format for home cinema for approximately the past 20 years. The latest advancements are Dolby Atmos, Auro 3D, and DTS:X. Essentially all three of these format introduce overhead channels using speakers placed in the ceiling in some fashion or another. This is an oversimplification of the formats. The ultimate goal is more immersive surround sound with more precise localization of surround effects. For more details I encourage everyone to check out Dolby, DTS, and Auro 3D website for more info on these competing surround sound formats. There is a lots of debate on the pros and cons of each format. No matter which one, all three offer a great step forward in multichannel surround sound. ALL of the above new amazing advancements in video and audio mean nothing without content. The content and the content creators will be the driving force in showing off these amazing technologies. For features like HDR and WCG, if content creators (director/cinematographers, post production engineers) don’t design and in install the metadata to include on that particular Ultra HD 4K Blu-ray, then those features will not get activated in the TV. Same goes for Dolby Atmos and the other surround formats. How well the content creators take advantage of the capabilities of the new technologies will ultimately determine the success of these amazing advancements in audio/video technology. When it comes to content for 4K, the “purest” source of 4K material for the consumer is going to be the physical disc of an Ultra HD 4K Blu-ray movie. It will have the better capacity to hold the extreme amount of data in a 4K movie with the least amount of compression involved. 4K is also available via multiple streaming services like Netflix and Roku. For video purists of dedicated home cinemas, the best to “stream” a 4K HDR movie will be from Kaleidescape. From their movie store, customers will be able to download a bit-for-bit copy of the original 4k Blu-ray. It will not be a compressed stream of a 4K movie like Netflix. The only downside is that it does not provide instant viewing. The movie will need to be downloaded first before it can be played. From the video at the beginning of the blog you can see that movie studios are embracing 4K Ultra HD Blu-ray. Couple this with the broadcasters adopting and implementing the ATSC 3.0 standard then the future of Ultra HD 4K Blu-ray looks brighter than ever. 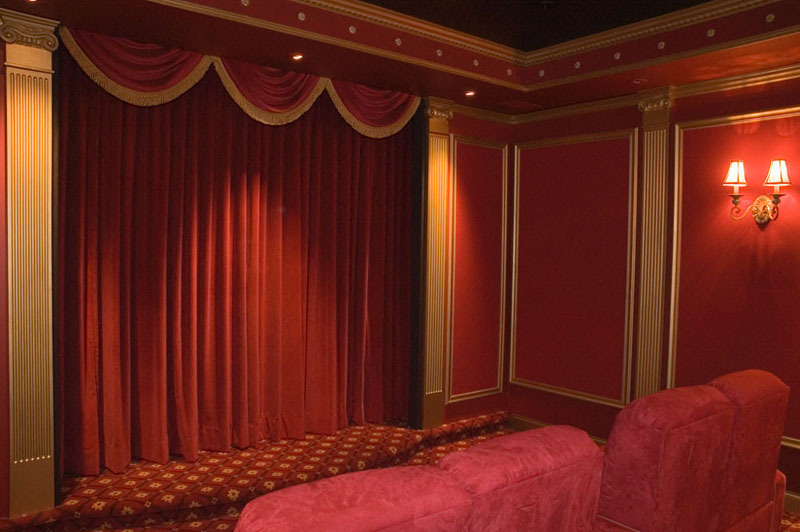 There has never been a greater time to create a larger than life home cinema in your home than now.